Let me start off by stating that I am in no way receiving money for this article. I merely want to express the reasons why I love Netflix. For those of you who don't know, Netflix is a movie rental service with no late fees or due dates. It has a monthly subscription rate of $7.99 (which will be slightly raised in the near future), and allows subscribers to rent DVDs through the mail or stream movies using internet-ready devices. Technically, Netflix was founded in 1997 by Marc Randolph and Reed Hastings, but I hadn't become aware of it until the early oughties. A service that ships DVDs to your mailbox for a monthly fee? And you can rent as many movies as you like during that month? I was leery. So much so that I let Netflix service other customers and just watched movies the old way: going to the theatre, buying the DVD, borrowing from a friend. I rarely rented movies, even through Blockbuster, mostly because I hated the people who worked at video rental houses. They were either snobby film buffs, or, even worse, people with absolutely no film knowledge. On paper, Netflix was the perfect solution for someone like me. But I didn't buy into it and just kept collecting DVDs. At one point I had over 650 movies in my collection, and that wasn't including the Blu-rays that had begun to replace my DVDs. Eventually, around 2008, before they expanded their online streaming services, I tried it out using their offer for a free first month. At this time, they offered separate services, discs by mail or online streaming. I wasn't set up for online services so I just used the standard disc by mail option. As it turned out, I loved it. Being a film lover, I like to watch as many movies per month. But since you could only rent one DVD at a time (unless you paid for the multi-disc option), I wasn't taking advantage of my month. At that point in my life I just couldn't find the time to watch that many DVDs, so I was only really watching two or three per month. It felt expensive, and worst of all, I felt like I was pressured into renting a movie to get my money's worth. I stuck with it for a few months and then decided to cancel my subscription. Years later, I heard that their online streaming, which was available on gaming devices (like Nintendo Wii), was growing. More and more movies were being made available online and that got me interested again. I like the idea of not having to wait for the mailman to ship my rental back and then wait for the next DVD on my account queue to makes its way to my mailbox. I could watch any movie at any given time. But I didn't have a device that could take advantage of this option. By 2010, more devices were able to play Netflix. It now had expanded to Blu-ray players, Apple TV, and eventually Roku devices. These were all devices that you would hook up to your internet services, (typically via ethernet cable), and of course to your TV set. These devices had Netflix software that allowed you to sign into your account and play their online selections. I decided to look for a Blu-ray player specifically with Netflix capabilities (nowadays it's a standard feature; there are even Netflix buttons on remote controls). 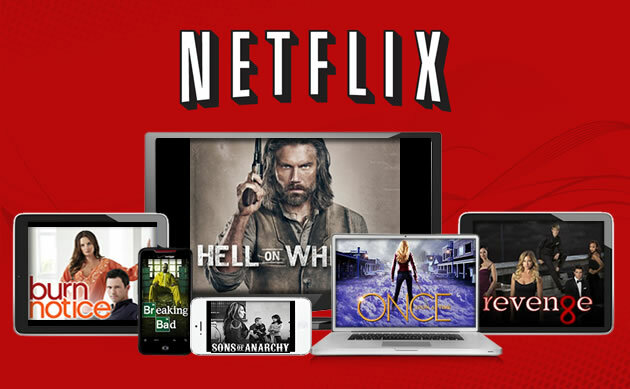 Netflix is now available on just about any device; everything from iPads, mobile phones, smart TVs, Blu-ray players, and all gaming systems. I suspect that it will probably be accessible on microwaves in the next few years, if it isn't already. But so far in this article I've only focused on the ease of accessibility of the content. Let's talk about the actual content. As a movie buff, I like to watch all genres, like drama, sci-fi, comedy, action, and indie films. Netflix has incredible variety, not just blockbuster movies with famous celebrities. It has an amazing selection of indie films. Most of these independent films would usually be exclusive to film festivals and art house theatres, and not available to large audiences. Netflix picked up on this and has several of these gems in their catalog. Thanks to them, I'm now able to discover films I either missed at the theatre or just never heard of. And that goes for television series too. In fact, I've realized in the past few months that I watch more television programs on Netflix than I do on actual live TV. Of course I love that I don't have to watch commercials, but more specifically I like that I'm watching shows that don't get promoted well enough on TV; shows that have proved to be much more superior to popular series. I'm also able to catch up on shows from my youth (and some from my parents' youth). I get to re-watch old shows like "The X-Files" that I had never been able to watch in its entirety. And I can watch shows from networks that I don't subscribe to, like HBO, USA, or Showtime. Keep in mind that I haven't had cable service since early 2010. I've missed out on some of my favorite shows like "Burn Notice." Well, thanks to Netflix, I'm all caught up. I also get to watch BBC programs that aren't offered in America. I'm talking quality programs like "Sherlock," "Call the Midwife," and "The Fall." I have access to Netflix Original programming, including several upcoming live-action series by Marvel. In the next couple years Marvel and Netflix will be airing "Daredevil," "Jessica Jones," "Luke Cage," "Iron Fist," and a miniseries for "The Defenders." Netflix seems like it's on the side of fans. That's just Marvel. Netflix is working alongside other companies to release other original content. They understand viewers ability to binge on TV series and our desire to re-watch movies and shows. Unlike renting a disc for one-time viewing, we can watch these programs over and over again. That's something I've done for many shows including "The IT Crowd," "Arrested Development," and "Trailer Park Boys." The latter two, by the way, also have Netflix exclusive programming. "Arrested Development" released a fourth season last year (and possibly another season in development) and "Trailer Park Boys" will be releasing a season 8 and 9 in the near future, as well as a feature film that takes place before season 8. Netflix has certainly upped its game in the past few years and I personally look forward to seeing what else they plan to do. I think by now it's obvious why I'm such a huge fan, for its quality and quantity of content, how easily I can access content at any time of the day on just about any device, and of course that low price. I swear this isn't an ad for them, but if I was ever asked to promote a product I would easily choose Netflix. That...and Icy-Hot. One of the nicest things I've noticed about Netflix is that it's bringing families back together. The ability to watch any show or movie at any time of the day allows families to gather in front of the TV and accommodate to their schedule. There are no inappropriate (and loud) commercials and there's no distracting lower third advertising on the screen. A family can actually watch a program together, and all for a low monthly fee. There are no ridiculous prices for popcorn and sodas and absolutely no lines. Granted, Netflix will never be the same experience as going the theatre, but times are a-changin'. In fact, times have already a-changed, and so it's hard to understand why movie theatres haven't done much in the way of competing with Netflix. Personally I no longer visit the theatre unless it's a film that is so visually stunning that I'd prefer to see it on a big screen. But with so many distractions from other movie-goers (cell phones, talking, etc. ), outrageous ticket prices, and uncomfortable seats, it's no wonder that I promote Netflix as much as I do. If you're not already signed up with Netflix, I highly recommend you get on the bandwagon. It's a low fee per month (currently $8) and offers literally thousands of movie selections, from popular to obscure, and from new to old. And there are absolutely NO ads or commercials (take that, Hulu)! 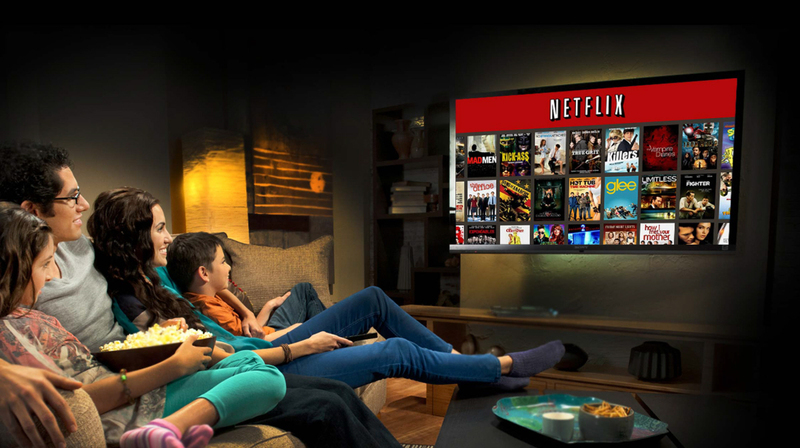 TRIVIA: The idea for Netflix came to co-founder Reed Hastings when he was forced to pay $40 in overdue fines after returning Apollo 13 well past its due date.